Tony’s 1967 Camaro SS – ALOHA! While reading car books and magazines, I’ve often seen some pretty interesting stories about how someone came to find their car and Tony’s 1967 Camaro SS350 falls right into that category. 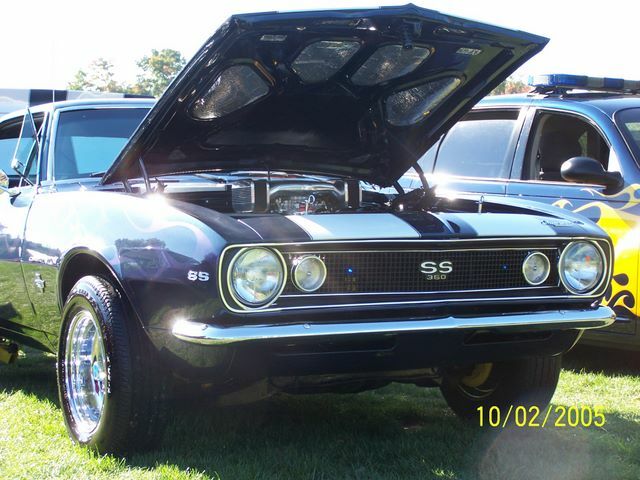 The first time he laid eyes on this Camaro was in 1975 when he was stationed at Schofield Barracks in Hawaii. He saw the car drive by and it immediately caught his eye. The next time he saw the car, it was for sale. After laying down $1100 for it, the car became his daily weekday driver and weekend warrior. On Saturdays, they would take the car across to the Air Force base and race it, breaking parts all the time. Unfortunately, parts are not so easy to order when you’re on an island so they would hunt through junkyards for hours when they had time to find spare parts. Sundays were reserved for fixing the Camaro with these parts. They rented a garage bay at a local craft shop for $2.00 an hour every Sunday where the expert mechanics let Tony use their tools and taught him everything they knew about cars. Jump ahead to 1980. Tony finally got to come home and the car arrived from the military 4 months later, but not in the best shape. Once back in New Jersey, the car sat in his backyard for a year before receiving its second paint job. By 1986 Tony and his wife were looking for their first house. She said the car had to go, but he said no way. Their new house needed two garage bays! In his spare time, Tony attends as many local shows and cruises as possible and is also a member of the Shoreline Timemachines car club and the Connecticut F Body Association, so be sure to check them out! But most of all, he just loves driving this 67’! Well Tony, by these pictures it’s easy to see all of the work that went into your Camaro! Thanks for taking the time to share your story with us; it’s definitely a unique one!